My office hours are given below. Please note that office hours further in the future may be subject to change, so check back here before you turn up! If you would prefer to make an individual appointment then drop me an email. Thursday 7th March: Office hours moved to 16:00 - 17:00. I am an Assistant Professor in Epidemiology appointed jointly between the Mathematics Institute and the School of Life Sciences. I am also a member of the Zeeman Institute ( Systems Biology and Infectious Disease Epidemiology Research, SBIDER), a cross-departmental group bringing together researchers from different disciplines to better understand the biological world. 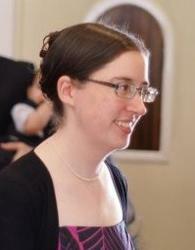 My research interests involve using techniques from mathematics and statistical physics to analyse biological and social systems. I am particularly interested in work with strong experimental links and in discovering the simplest possible explanatory mechanisms for observed data. Yaws is a bacterial infection that can cause lesions in the skin and bones and is primarily found in tropical areas. We are investigating whether household contacts constitute a major contribution to disease transmission to evaluate whether targetting treatment at diagnosed cases and their contacts is a feasible strategy for controlling or eliminating Yaws. This work is in collaboration with Michael Marks at the London School for Hygiene and Tropical Medicine and Deirdre Hollingsworth here in Warwick. For many diseases that can be safely and effectively treated with appropriate drugs we attempt to reduce disease impact through a mass drug administration campaign, in which we repeatedly (for example, annually) treat as many people in the community as possible, regardless of their disease status. These campaigns are common in many diseases, however their success depends upon a good implementation of the campaign. It is generally accepted that high coverage levels (the percentage of of people treated in each round) is essential good efficacy of the campaign. However, the quality of that coverage is also highly important, particularly the amount of overlap between different rounds of treatment. If we continually treat the same people, that is less good than gradually treating everyone over multiple years. I am investigating ways of modelling this effect, and the extent to which it is a problem in disease elimination campaigns. More than 1.5 billion people, or 24% of the world’s population, are infected with soil-transmitted helminth infections worldwide, with the majority of infections concentrated in sub-Saharan Africa, the Americas, China and East Asia. Coinfections with multiple types of organisms is common, but the impact that one infection might have on another is not widely understood. I am formulating models of helminth coinfections in order to better understand the interactions between different parasites within a single host, and the effects of these interactions at the population level. Noise-induced bistability is often found in systems with two deterministic stable steady states, where the addition of noise simply moves the system between the two states. We instead considered a situation where these steady states are not present at all in the deterministic system, but are instead a consequence of multiplicative noise induced by low population numbers in a system with an autocatalytic reaction. This type of noise-induced bistability may be distinguished in experimental systems from the more usually described type, by the presence of a critical population size, above which bistability ceases to occur. Cell migration and differentiation during embryo development is instrumental in transforming a clump of cells into a functioning organism. One such migration is that of cranial neural crest cells (CNCCs), which give rise to bone, cartilage, nerves and connective tissue in the face. Elucidating the mechanisms underlying the migration requires close collaborations between experimentalists and mathematical modellers. I have formulated an individual-based model of this system which is then used to predict experimental outcomes, thus testing our modelling assumptions and hypotheses. This work is in close collaboration with Prof. Paul Kulesa at the Stowers Institute for Medical Research. Partial differential equations (PDE) are widely used in the modelling of cellular migration, enabling the use of both analytical and numerical techniques for studying such systems. However, these equations are rarely explicitly derived from the underlying behaviours of individual cells and thus it is difficult to parameterise and perturb systems on an individual level. Moreover, in many biological systems there is not a large enough number of individuals to justify the continuum approximation. I am interested deriving PDE approximations to off-lattice individual-based models (IBMs), particularly those with volume exclusion. Our recent paper on swarming locusts has received some attention in the press, with interviews on Radio 4's Today Programme (50mins in) and BBC World's Newsday (15.55mins in) and an article in the conversation. I have previously given a talk for the general public on this and other research at the Institute for Mathematics and its Applications.